Police dogs training means, that we train our dogs to perform well in different situations. It could mean that the police dog should be able to detect materials like narcotics or explosives, or detect the smell of suspects. Our methods are developed over the years at Police Dogs Centre Holland. This means we can deliver all levels of training to our customers. 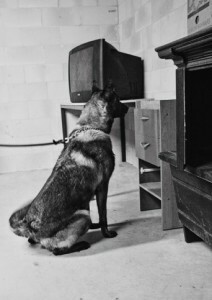 For our different programs we use different kinds of police dogs training methods. Our trainers are responsible to train their dogs according these methods, which have of course have been effective for many years. Generally spoken, our proven methods are ‘world standards’ in this business. On request we can of course adjust our police dogs training methods for particular customers. Police Dogs Centre Holland has also a very good reputation as a police dogs training school. We provide courses to customers (both individually and in classes). During our police dogs training courses, students are taught how to select and handle a police dog. Our police dogs training school is very flexible. Our courses can be given at any location. Together with our customer we will decide what would be the best location. This could mean that our courses are given in the U.S.A..
Our police dogs training courses have different possibilities. The handler can be specialized different lines of police dogs work. Please feel free to ask for more information or for a specific offer for your handlers. Use our contact page to so.